W hether it’s design and construction of complete TurboFan test cells, or the upgrade of existing test cells and maintenance facilities, Atec has the experience, low cost and advantages to offer best value. 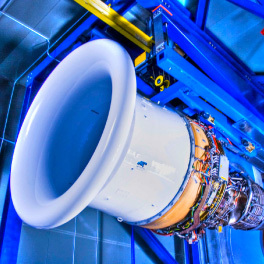 Our 65 years of technical background involving turbine engine test and support is top rank. 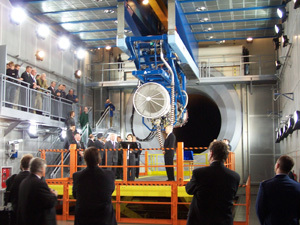 Now with over 100 engineers and an active construction/field group, we can undertake any AeroEngine Test Cell project. Our test cell team includes 50 SMEs, niche subcontractors and an impressive spectrum of construction firms. Atec employs engineering physicists, aerodynamicists, materials scientists and engineers in at least 12 specialties. 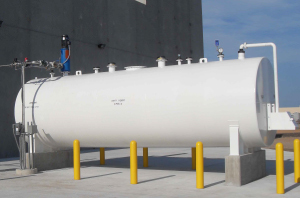 Our technical team uses the latest data gathering and modeling systems to provide the best technical solutions to complex test cell challenges. Most importantly, we listen to our customers and users. Atec has a long history and active relationships with all of the jet engine OEMs of the western world. 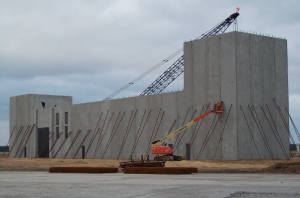 Vital Link adds to our test cell construction, noise suppression and field service capabilities. Atec’s recent contract to provide ADAQ 4.0 for engine control and data acquisition for a major European Commercial engine MRO further demonstrates our growth. Atec has successfully completed projects on over 30 commercial engine test cells to compliment our world leading military cells efforts. Atec can design, build, or modify your test cell, and assist you in getting the approved OEM specific input and equipment required. 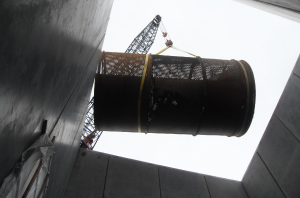 We can coordinate all parties to assure cost savings, quality, schedule and maintenance. Atec highly recommends collaborative contracting for test cell modification programs. This collaborative approach gets Atec engineers and customer personnel working together on common needs assessment, specification, budget and schedule. Fixed price contracting can also be arranged. The project can be organized several ways depending on circumstances. Often times, OEM licensing may be involved. Turnkey – Atec can supply a turnkey project which would include adapter, engine control system, test software, test nacelle equipment and other dress equipment. In short, a customer can contract with Atec for all items needed to add to the engine facility. Joint – Atec can supply many of the items listed above such as the adapter, engine control and software. The test cell owner may already have or can procure some items such as the test nacelle and dress kit from the OEM or other sources. Sometimes used or salvaged equipment can be refurbished by Atec. Teamed – In these cases the test cell owner elects to procure some equipment from Atec, such as the test adapter, and other items from another test cell supplier, such as an upgrade to an existing, recently installed software package. Atec has a long history of working professionally with designated suppliers or even our competitors in such cases.